When John Beltzer was hit with an epiphany one day in 1996, it wasn't unlike the moments of inspiration that would strike him at the oddest times for his career in music. 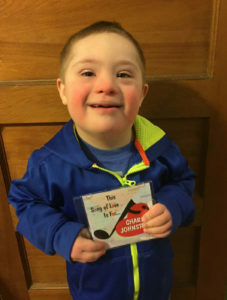 Just like notes falling out of the sky, John had a vision for his future and the future of thousands of sick kids and it was called Songs of Love. John lost his twin brother, Julio, to suicide in 1984. While struggling with the grief that came with that loss, John remembered a song Julio had written and recorded just two months before his death entitled "Songs of Love." It was the catalyst to an endeavor to honor his brother's memory and aid those who were hurting through the healing power of music. He set off to "collect" songwriters from all over the U.S. Notable volunteers include Billy Joel, Player, Ben Taylor, Jason Mraz, David Lee Roth, and Michael Bolton. The idea was simple: kids everywhere are battling serious and sometimes terminal illnesses. A song all about them can't cure their sicknesses, but it could give them a much-needed boost of happiness and hopefulness. Since the organization's inception in 1996, the Songs of Love Foundation has given 27,000 songs to kids free of charge, thanks to generous donations. These songs are completely tailored to a child's interests, favorite people, pets, and more. Professionals are given the child's application form and create a song in the music style the child prefers. When it's finished, it's uniquely theirs. 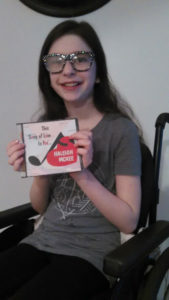 Some children listen to their personalized songs to alleviate the worry often felt at scary hospital treatments, while others take them to school to show their friends. However, it's the parents who often say how much Songs of Love impacted their family. The site's "About Us" reads, "There is much focus on raising awareness and money in order to find a cure for a variety of life-threatening illnesses and lifetime disabilities. The immediate needs of children who go through serious medical and physical challenges are often overlooked." 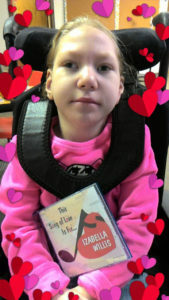 Songs of Love are available to children between the ages of one and 21 who are currently facing life-threatening or life-limiting physical, mental or emotional challenges.